I love summertime! The weather is warm, I don’t have to work, and summer foods are abundant. 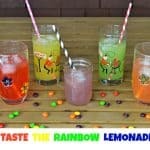 One thing I love about summer is lemonade. When it’s hot outside there’s nothing as refreshing as a tall, cool glass of lemonade. It’s sweet, it’s tart, and it’s delicious. Since I love lemonade so much I decided I needed to bake with it. 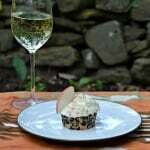 I wanted to make a cupcake that was just as refreshing as the beverage and would be the perfect summer dessert. I wanted to pair it with strawberries to give it that classic strawberry lemonade flavor. I have a hard time using fresh strawberries in cake or frosting. It takes a lot of work to use them in baked goods so I went with a boxed cake mix. This isn’t something I’d normally do, but I already had several boxes of strawberry cake mix because I was making a doll cake for a friend. I grabbed a box and got baking. I simply made the boxed cake mix according to the package directions. I baked up 2 dozen strawberry cupcakes. Then came the frosting. I wasn’t sure how I was going to get that lemonade flavor into the frosting. I love traditional buttercream frosting but it’s so sweet. 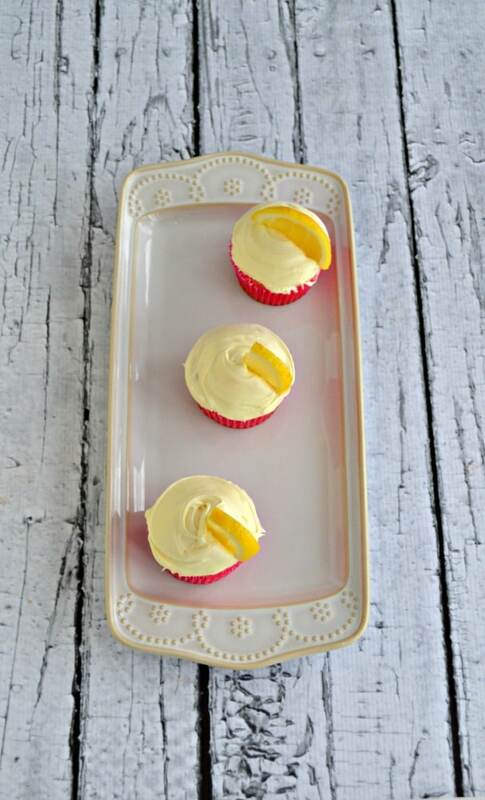 I tried three different things before I came up with an amazing lemonade frosting. 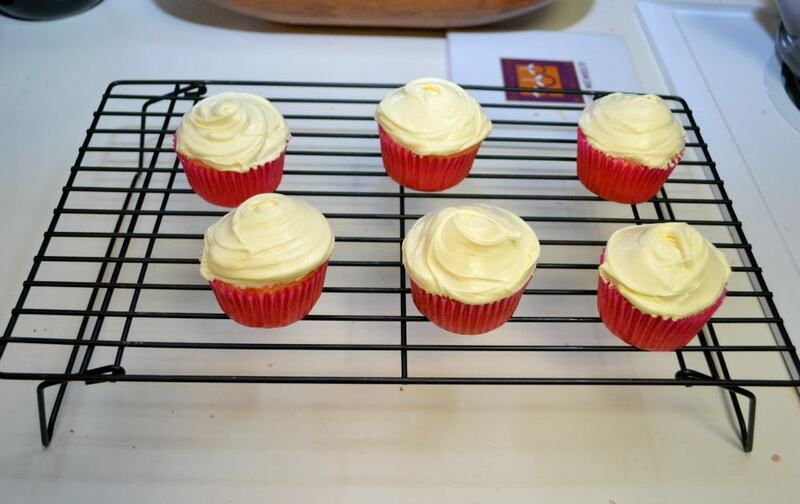 I took buttercream frosting and added a few tablespoons of lemon juice. Then I took a single serve packet of lemonade and added it to the frosting. I mixed it all together and got a delicious sweet and tart lemonade frosting. 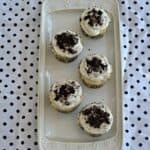 I cut a pocket in the middle of each cupcake and added a tablespoon of frosting in the middle. I then topped it off with the same lemonade frosting. The cupcakes weren’t the prettiest cupcakes I’ve ever made but they tasted great. The strawberry cake with the tart lemonade frosting was perfect for enjoying the summer day out on the porch. 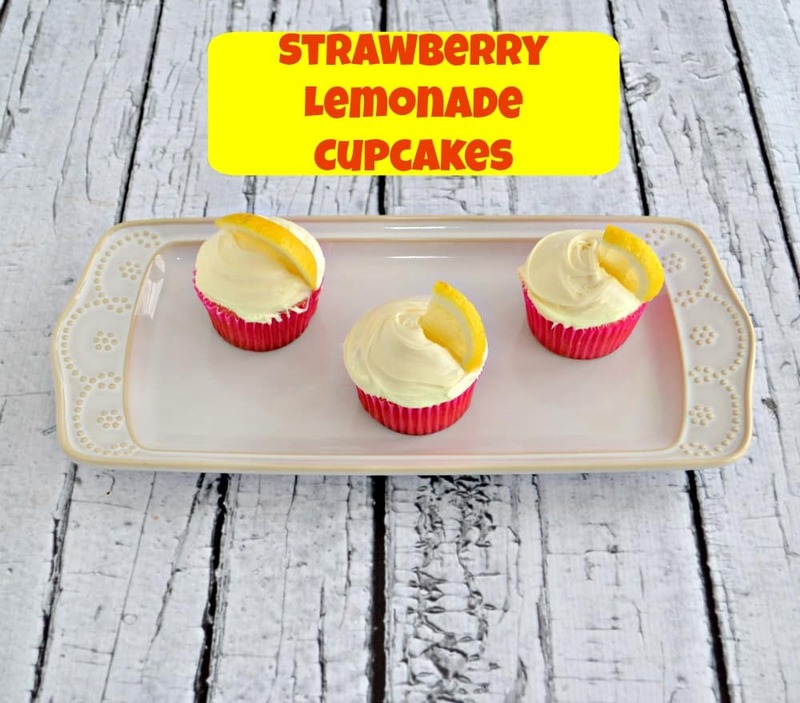 Strawberry cupcakes filled with sweet and tart lemonade frosting. Preheat the oven to 350 degrees. Place 24 cupcake liners in 2 muffin tins and set aside. In a large bowl combine the strawberry cake mix, water, vegetable oil, and eggs. Mix for 2 minutes or until well combined. 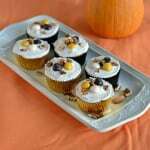 Fill the muffin cups with the cupcake batter ⅔ of the way full. Bake for 18-22 minutes or until a toothpick inserted into the center comes out clean. In a large bowl beat the butter until smooth. Add in the lemon juice and lemonade mix and mix well. Add in the powdered sugar a half cup at a time until the frosting is the desired consistency. Cut out a small piece of the cupcake out of the top. 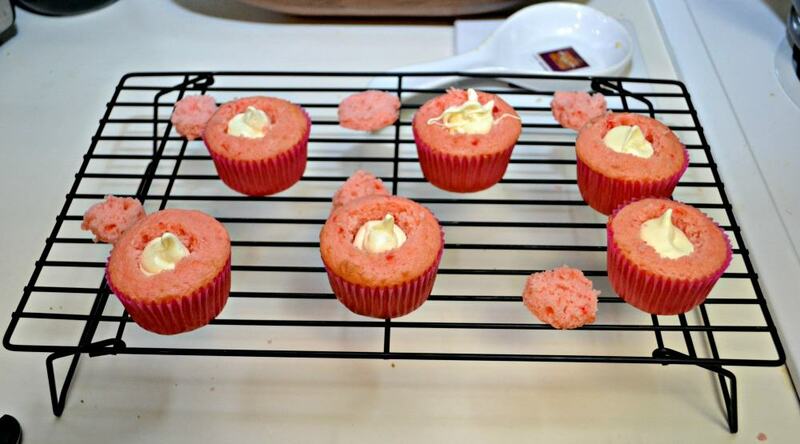 Add a tablespoon of lemonade frosting in the middle of the cupcake and replace the top of the cupcake. Frost each cupcake with the lemonade frosting. Top with a lemon wedge. Pecan Pie Stuffed Apple Cupcakes + a fun Fall Mason Jar!